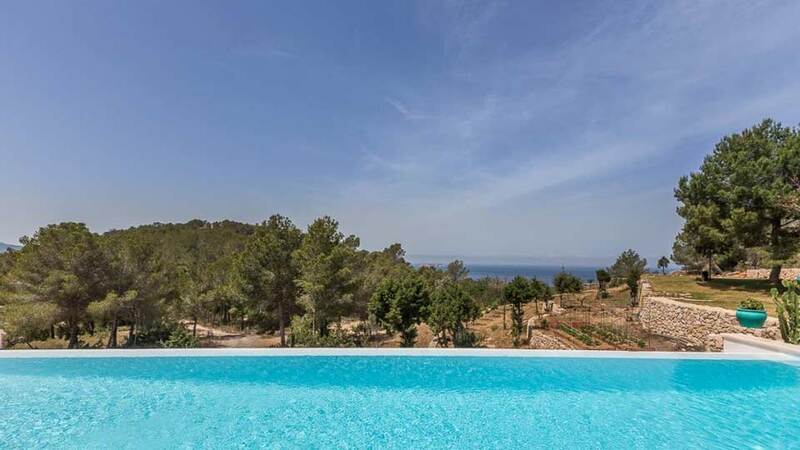 Superb villa with an exclusive location, on a hill overlooking the beach of Cala Salada. 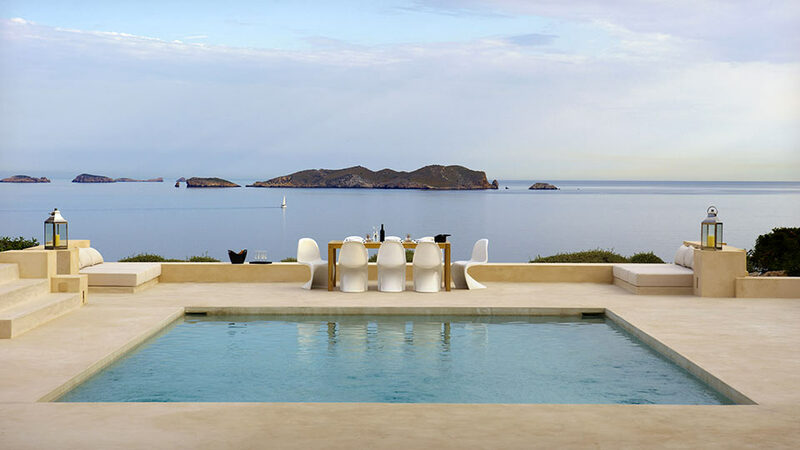 You will enjoy the absolute tranquility of the surrounding countryside, still intact, and a superb panoramic view of the sea, the Bledas and Conejera islands, and the most beautiful sunsets. Long path, approximately 2 km. All the beaches of the West Coast are located within a maximum radius of 20 Km. Cala Salada and Cala Saladeta are located just 5 minutes by car. Cala Tarida, where you will find our local offices, is less than 25 minutes by car. San Antonio is 10 minutes drive and Ibiza Town 25 minutes. This villa of about 400 m2, Ibicenco modern style, mixed with a Balinese decoration, is located on a plot of 50 000 m2. Room, Ground level. This bedroom has 2 single beds. Bathroom ensuite, private. Room, Ground level. This bedroom has 2 single beds configurable as a double bed. Bathroom ensuite, private, With shower. Room, Ground level. This bedroom has 2 single beds configurable as a double bed. Bathroom ensuite, With shower. Room, 1st floor, view of the sea. This bedroom has 1 double bed. Bathroom ensuite, private, With shower. This bedroom includes also air conditioning, private terrace. Huge living-dining room with plasma TV, Canal +, music team, IPod. Large terrace with pool 17 x 5.50 m.
Another large terrace with lawn, ideal for children. 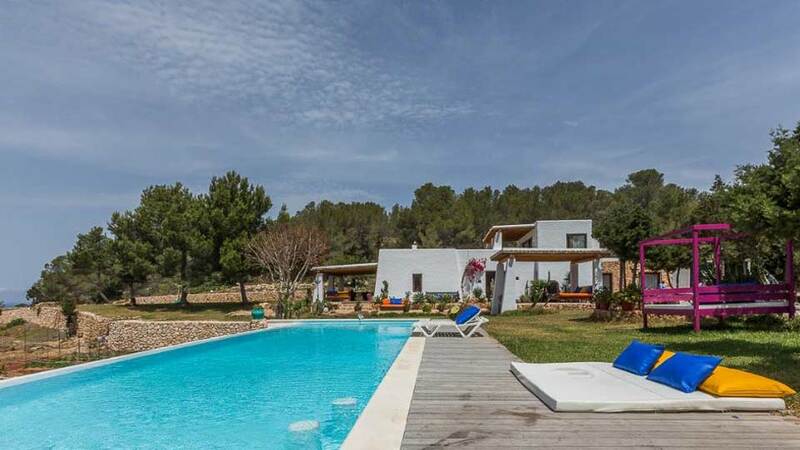 Beautiful flower garden, with pines, cacti, and a beautiful natural setting, surrounding the villa. There are also fruit trees and garden with lots of variety of vegetables and herbs, all organic. L'espace extérieur avec des zones multiples, très belle piscine, beau jardin. Votre service était très bon. Le seul bémol est la réactualisation des locations des maisons. 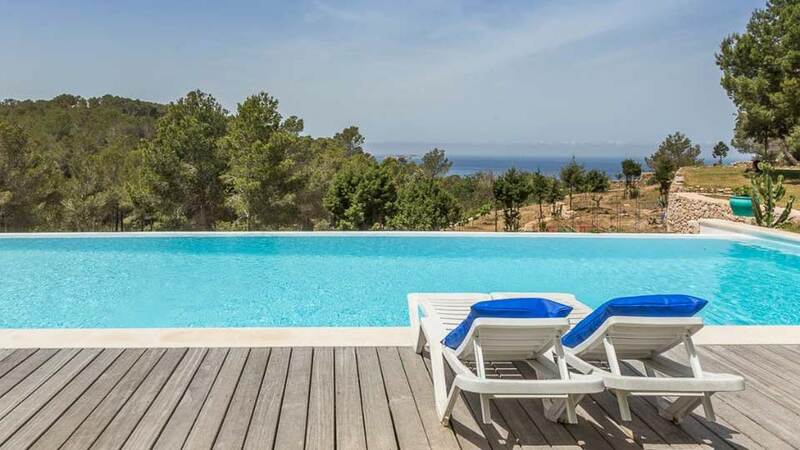 Avant de faire ma demande de location, j'avais fait une sélection de plusieurs villas disponibles à la période voulue à Ibiza. Cela afin de concerter mon groupe d'amis. Mais tout cela a été vain, puisqu'au final, toutes les maisons que j'avais sélectionnées étaient en fait déjà occupées. La qualité des lits étaient moyennes. 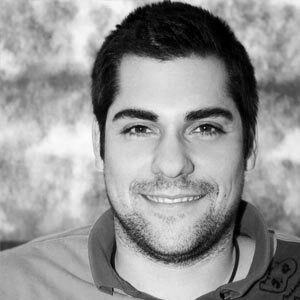 Il manquait également un peu de matériel pour cuisiner.